In my time as a practitioner, I have come across many resources that suggest a variety of methods for using the Tarot to answer "Yes-or-No" questions. Personally, I find this absurd. It’s like trying to use a screwdriver to hammer a nail. So in this post, I’m going to explain why it is beneficial to avoid these questions, and what it means for how you are approaching your life as a practitioner. There are 78 cards in the Tarot, not two. Thus, it’s ill-suited for binary answers. The Tarot wants to tell you what’s happening, where it’s happening, how it’s happening, and why it’s happening. It’s a powerhouse of symbols that help us align understanding with the contextual pieces of our lives. We practically know the answers to these questions. 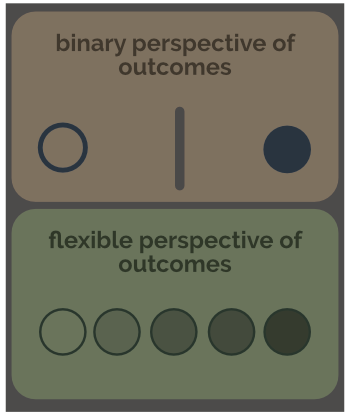 What we’re really interested in is how the outcomes are reached. 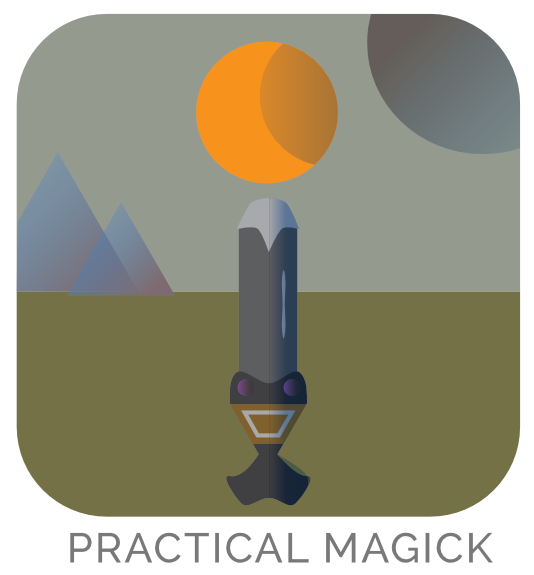 Working with the Tarot helps us map out the symbolic landscape of how we’re approaching a situation, so that we can adjust our attitudes & actions as we go into it. This means we’re approaching our situation with an open mind and a can-do attitude. Success is dependent on a variety of factors, and the Tarot can help us assess those factors & make strong choices based off their consideration. In contrast: Yes-or-no questions pass definitive judgment on what we are capable of experiencing. We have the Yes & No as black and white options: “Will it happen, or will it not happen?” That is how the person who is inflexibly attached to particular outcomes is going to think about any given situation or desired result. But the reality is simultaneously simpler and more complex. You know of the phrase, “You reap what you sow.” The truth is that the spectrum of possibilities that lie before any individual, in any circumstance, includes a diverse series of outcomes—hence the shades of gray. 95% of the time, when we are intent on a particular desired outcome of a circumstance, the reality of that outcome rarely winds up exactly as we thought it would be. A person who moves through life, judging their circumstances & opportunities from a binary perspective is ultimately limiting themselves. In this instance, seldom is the celebrated victory, and too often do we meet the oppressor of our own inner defeatist. A person may be infatuated with another individual, and they may want to know if romance will occur. But romance is just one particular outcome in the spectrum regarding relationships. If a person distances themselves because they think there’s no possibility of romance, then they inhibit the growth of that friendship and what it might mean for their personal development. A person may be interested in taking the plunge into a new way of living. They may have all of these ideas of what it will be like, but if they’re attached to one particular outcome, then they may give up before the fruit comes, or never try at all. It takes patience & persistent effort to move toward a desired outcome of any kind. Yes-or-no questions are brittle. It means living life from the perspective of “it either is, or isn’t.” It means that we may be missing out on the good stuff that’s happening, the growth that’s occurring, the journey in the passage through life. The truth of flexibility’s strength is in the realization that we grow into outcomes. It’s an organic process, just like gardening—we sow the seeds, weed out that which is interfering in the growth, provide nourishment & sunlight—the efforts required to help the growth happen. So what is useful in the gardener’s perspective? Knowing what to do and when to do it; being observant, mindful & responsible to the plants’ health; paying attention to the weather and what is beyond control, and being a flexible dancer with those influences. The Tarot fosters awareness. And through awareness, we make better choices and engage in life with empowered senses of purpose & creativity. It’s really that simple. I do hope you found some of this worth chewing on. 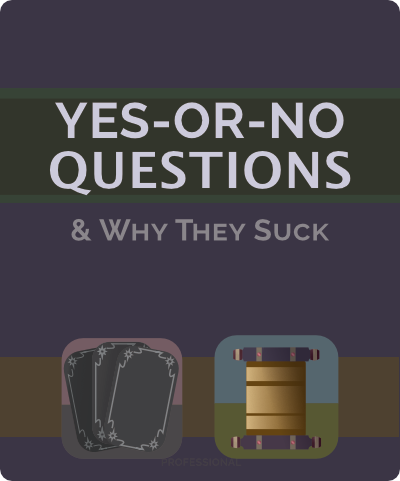 If you happen to be among the practitioners that frequently use or answer yes-or-no questions, then I especially hope you found some of this worth considering, and that you know I mean no disrespect to you or your practice. Of course, you’re free to add your opinion to the discussion below. If you’re interested in cultivating an empowering relationship with the Tarot, then I would advise getting started with this post, and maybe getting in touch for a practitioner Q&A session.